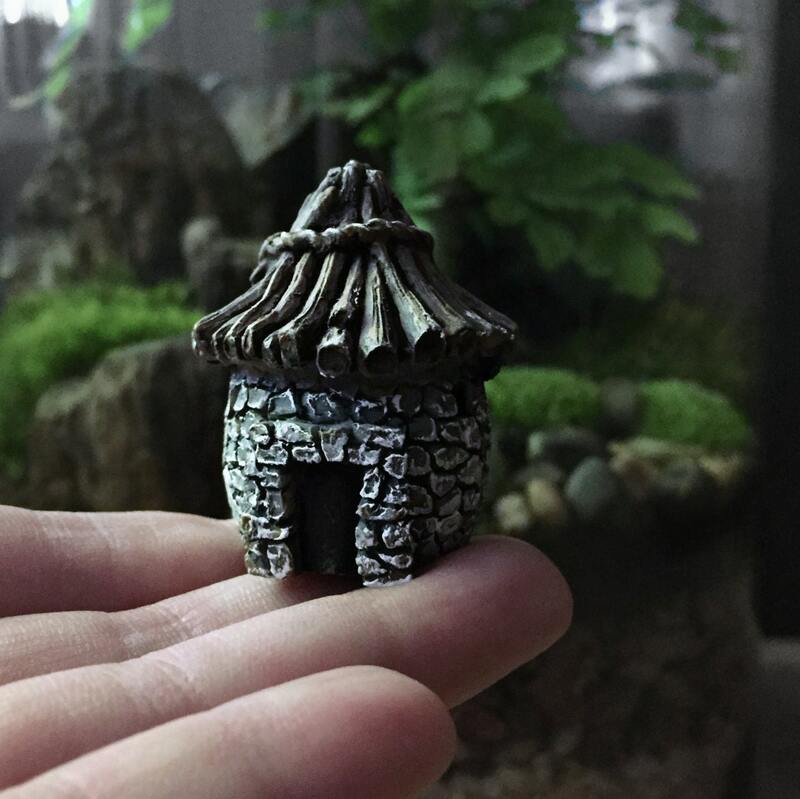 Miniature stone cottage with thatched roof with hand painted detailing. 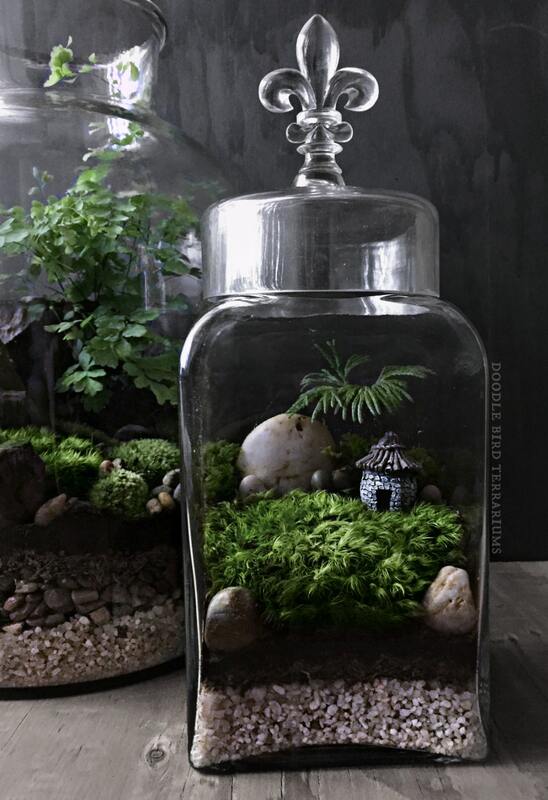 Each piece is sealed for protection to withstand the humid environment of a terrarium. • Dimensions: 1.5" x 1.5"